“Where’s the chalk? 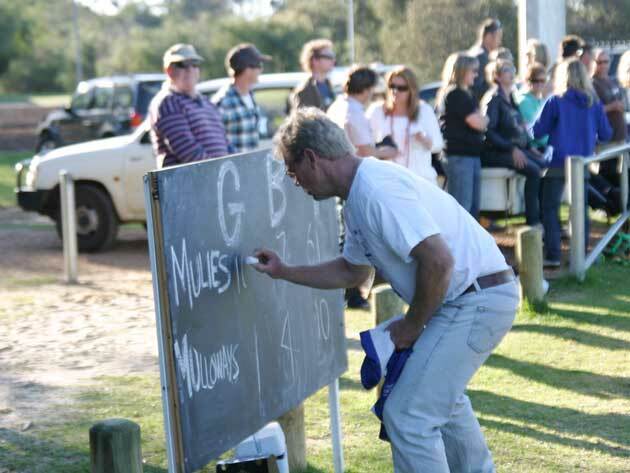 Where’s the chalk?” the scoreboard attendant yelled after the Mullies kicked the first goal of the last quarter. “In the box,” someone said. A tee-shirt was used to erase the nine and and a neat 10 was chalked into place. This was the first chalkboard scoreboardpressure has encountered. 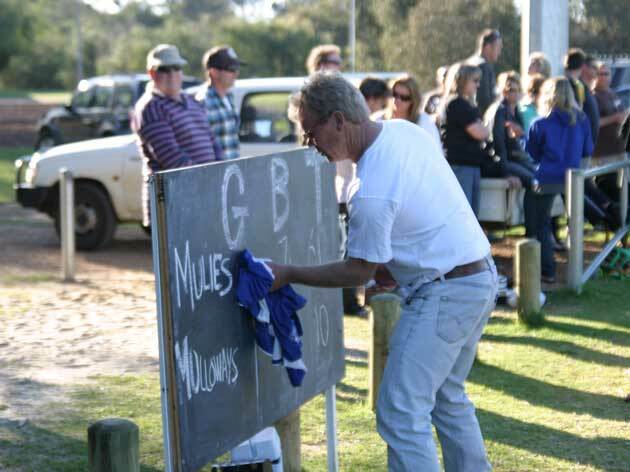 The grand final of the Onshore Cup Football Association was a bit different – and it wasn’t just the team names: Dunsborough Yallingup Mullies vs Bunbury Mulloways. 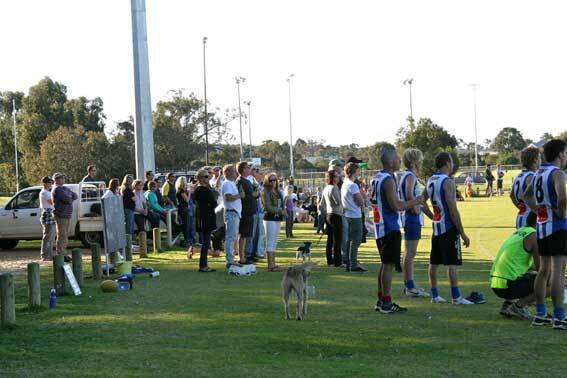 There were more beards, dreadlocks and board shorts on the field than usual, more interchange players on the sidelines and more dogs in the crowd… my scoreboard companion Frankie was happy about that. The OCFA is a semi-social competition that seems to run as an alternative to the South West Football League. I say semi-social as the scoreboard attendant had a stubby in his hand and one of the interchange players was smoking, but it was a real game of footy. There were some talented players and there was a bit of scuffle (and there would have been a dog fight if one yappy thing hadn’t been on the lead). 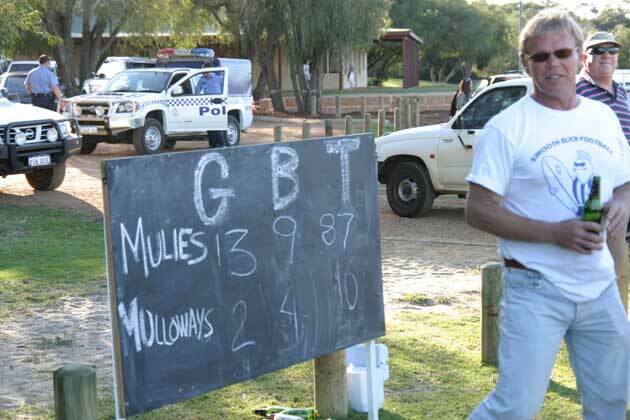 The Mullies were chasing their ninth consecutive premiership and did it easily. The Mulloways battled away but the city ring-ins it was rumoured they’d recruited either didn’t turn up or didn’t make much of a difference. Nothing like a game of Footy. Go the Margaret River Hawks, south west league winners yesterday.